Makenzies Miracle: Back in the Groove! Not to much going on around here! It is once again Monday and back to the grind! Makenzie had therapy today and did really well! You can tell she has been out of the groove for a while but she seems to be doing good at playing catch up! We worked on rolling for a while and she was activating muscles today that she hasn't before and using some good control! Her foot is still bugging her! We got her to bear weight on it today with a flat foot so that is good! She is also feeling a lot better. She came down with a cold 2 days ago and it seems to be all but gone! Thanks for all of the prayers! I noticed a few things with this cold. One her nose ran. Normally all of the snot just stays in her sinuses and we end up on ABX because it will not drain. None of that this time. Another is that she has been WAY less gaggy! She has been doing a great job swallowing the yuckies instead of choking on them! Go Makenzie! Oh the stuff we take for granted! 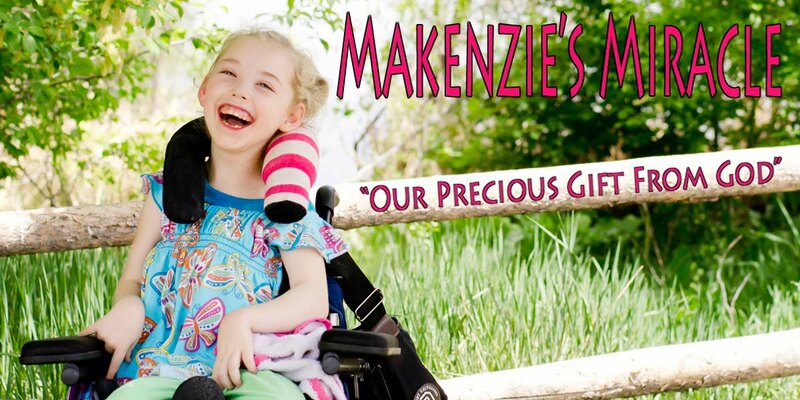 Please keep praying for Princess Makenzie! Pray for those cells! I will start making more final plans this week for our trip to CA this summer for Suit therapy! I can't wait! She is so ready!! Pray! Believe.... Prayer works!